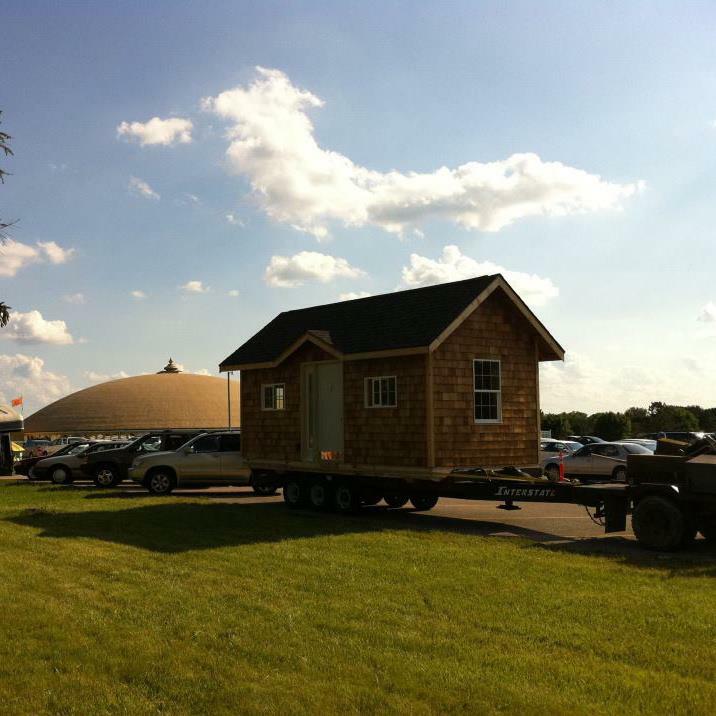 Did you know that the tiny house movement began in Iowa City? Jay Schafer was teaching art at the University of Iowa when he built his first little house on wheels, parked it in the backyard of a house he owned and rented out the house. The artistic touch that he gave to the original Tumbleweed Tiny Houses and his ability as a promoter helped this new format spread quickly. Jay has moved on to the Four Lights Tiny House Company. Both Tumbleweed and Four Lights sell designs, teach workshops and Tumbleweed has a very good construction DVD. At first you might wonder what is natural about these mobile structures built with conventional materials and often packed with systems. Lin and I look at a natural home as something that allows you to be in nature regardless of the weather. The tiny house can be perfect for this. With minimal footprint and low upkeep, it is not an assault on the environment. The tiny house can also help to liberate you from slavery to the wage system. It should cost a fraction of a standard American home and opens many new possibilities for where to live. In 2007 Kent Griswold established the Tiny House Blog to connect and promote tiny house projects around the globe. Our cob house was one of his early features. His site remains the best place I know to find out who is doing what with tiny houses. Here in Fairfield, Iowa we have some truly topnotch tiny home builders. 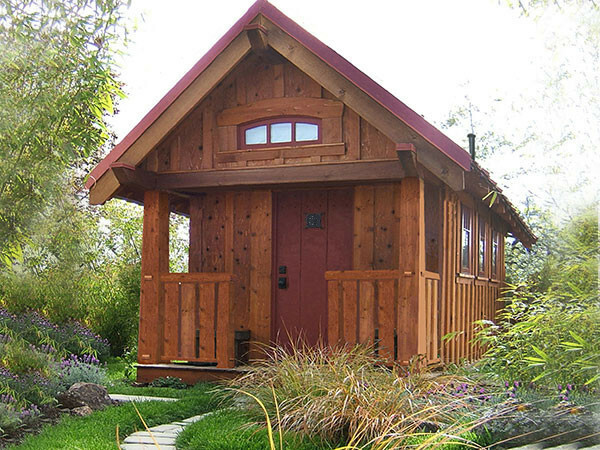 Eric Hoffman and his son, Christian, create Vastu Cabins. Their site offers a good introduction to vastu if the ancient Indian building system called stapatya-veda is new to you. Our friend Alek is just finishing a very complete house on wheels and did us all a service by documenting every move. You can check it out at The Tiny Project. And be sure to check out the first two tiny homes that Lin and I have done, Denise’s house and the Gypsy Camper.